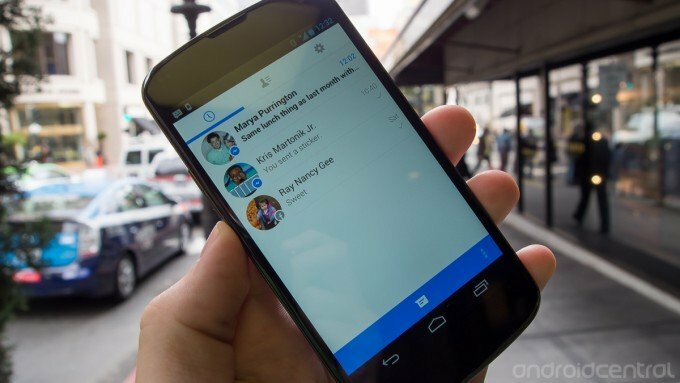 The latest update to Facebook Messenger, which was first announced about two weeks ago, is now rolling out to all users. Previously only available to a limited number (presumably to catch bugs), the new version with an all-new design and features will be available for everyone to download. Along with a new white and light blue design (that frankly looks iOS 7-inspired) and faster performance, along with new chat features like the ability to message someone with just their phone number, the latest update is worth a look. It now stands in pretty high contrast to the stand-alone Facebook app, which can be kind of jarring, but the Messenger experience is now much improved. Grab an update to the latest version at the Play Store link above.